← Music Sale & Back-to-School Supplies! Jewelry/Costume Supply and Ephemera Sale! Telegraph Ave between 41st & 51st StreetsJoin the annual “Trick or Treat on Telegraph” for Halloween fun with local merchants up and down the Avenue. Don’t miss the costume contests, plus lots more activities. Halloween Costume Contest and Photo Booth! 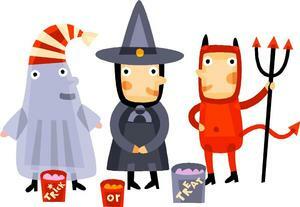 Come in to the Depot store on Halloween in costume to enter our Costume Contest! Win a trick… or a treat… plus Grand Prize Winners!